Home » healthy food » Routine Eat Fish Make Longevity? Good news for you who like fish. A new study says, regularly eating fish rich in omega-3 fatty acids may be able to prolong your life. The study, conducted by researchers from the United States is analyzed more than 2,600 elderly people. Those who had higher levels of omega-3 fatty acids are highest in their blood live on average 2 years longer than those with lower levels. "This study is not a study of fish oil supplements, but studies on omega-3 levels in the blood are associated with diet," said researcher Dr. Dariush Mozaffarian, associate professor of epidemiology at the Harvard School of Public Health in Boston. The study, published in the journal Annals of Internal Medicine did not show evidence of eating fish regularly can prolong life, but this study suggests there is a relationship between the two. "Levels of omega-3 in the blood associated with lower risk of death, mainly caused by cardiovascular problems," said Mozaffarian. Omega-3 fatty acids are found in salmon, mackerel, herring, mackerel, tuna, and sardines. Fish are rich in protein and fatty acids has been widely studied previously to reduce the risk of death from heart disease. However, for deaths from other diseases, remains unclear. Therefore, Mozaffarian and his team also measured levels of fatty acids in the blood, not the fish intake of diet as has been done previously. At the beginning of the study, the researchers analyzed blood samples, physical activity, and lifestyle participants, average age 74 years. At that time, none of the participants who took omega-3 supplements. Having followed for 16 years, as many as 1,625 died, 570 of which were caused by cardiovascular disease. The study found that higher levels of omega-3 in the blood, the lower the risk of death. Alice Lichtentein, director and senior investigator at the Cardiovascular Nutrition Laboratory at Tufts University, Boston, who was not involved in the study, said the study can not demonstrate causality. This study, he said, can not determine whether omega-3 is directly responsible for reducing the risk of death or as an indicator of a healthier lifestyle. 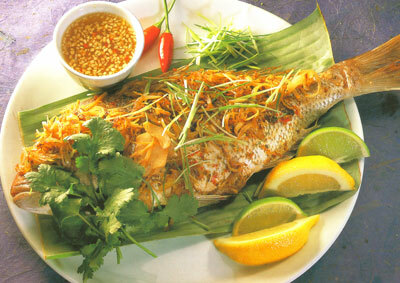 However, people who regularly eat fish usually also a fan of vegetables and fruits. American Heart Association recommends eating fatty fish such as salmon of about 100 grams two times a week. Even so, according to Lichtentein, replacing fish with fish oil supplements may not produce the same effect.